Early 1900s opened a London works run by William Lawton Goodman, his nephew. 1913 Joseph died and left the company in his will to his brother. William Lawton Goodman started a new company, Lawton-Goodman, taking over the defunct name of Whitlock and moved to new premises in Slade Works, Cricklewood, North London. Two new models were announced, initially called Lawtons but soon changed to Whitlock; before production could be established, war broke out. 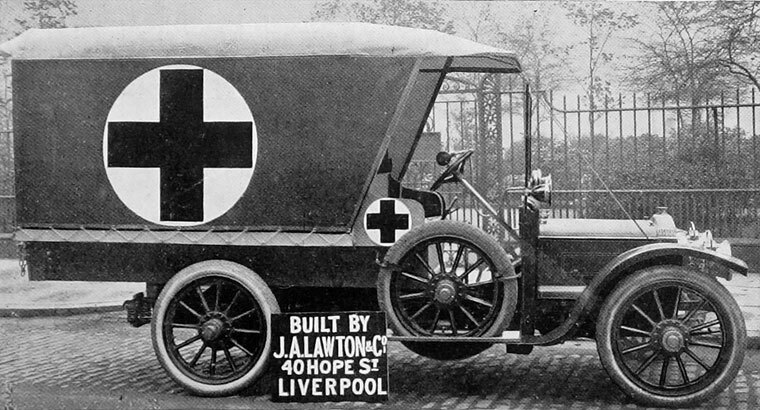 WWI During the war years the company concentrated on building ambulances on both their own and other makers' chassis, and fuselages for De Havilland DH4 aircraft. This page was last edited on 26 January 2018, at 17:34.